The Battle of Morval which will last four days begins. The 1st Grenadier Guards attack Lesboeufs in support passing through the leading waves to take the final objective by 15:30. The 3rd Grenadier Guards attack Ginchy at 12:35. The assault is held up by uncut wire and four officers go forward to try and cut it by hand. The battalion led by NCOs charge through the gap to take the objective, though the cost is high. Lieutenant Colonel William Drury Drury-Lowe JP DSO (commanding 1st Grenadier Guards) is killed at age 39. He is the son of the 2nd Baron St Leonards and he served in the South Africa War. Lieutenant ‘the Honorable’ William Alastair Damer Parnell MC is killed at age 22. 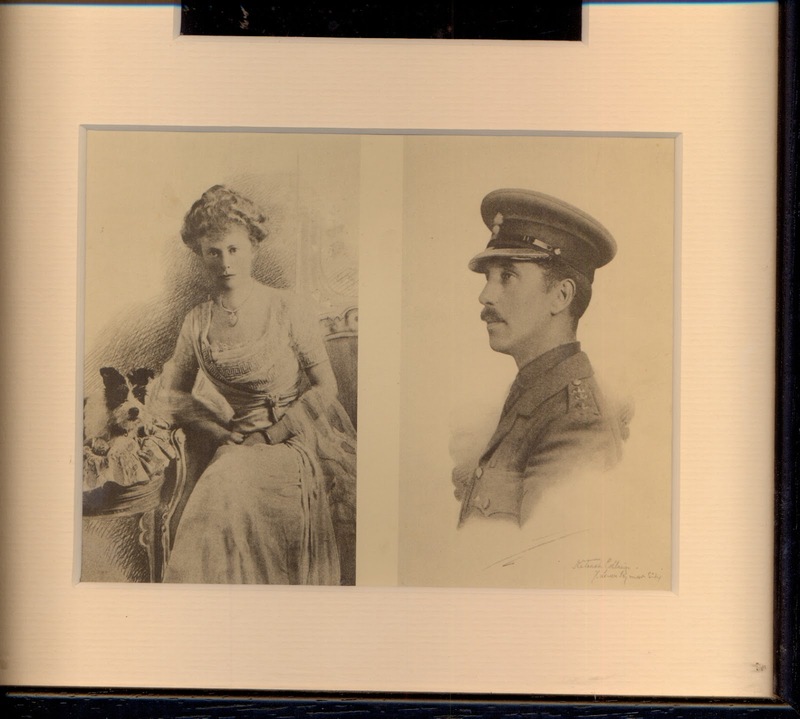 He is the son of the 4th Baron Congleton CB and brother of the 5th Baron who was killed in November 1914. Lieutenant Gerald Archibald Arbuthnot is killed at age 44. He is the son of General William Arbuthnot CB. He was the Vice Chancellor of the Primrose League and in 1910 the Member of Parliament for Burnley. Lieutenant Maurice Astley Knatchbull-Hugessen MC is also killed at age 28. He is the son of the Reverend Reginald Bridges Knatchbull-Hugesson and grandson of the 9th Baronet Knatchbull. Lieutenant John Francis James Joicey-Cecil (Grenadier Guards) is killed at age 19. He is the grandson of the 3rd Maquess of Exeter. Sergeant Albert McKanna-Maulkin a member of the Wisbech Isle of Ely Constabulary is killed at age 28. First Brigade Royal Flying Corps squadrons carry out a successful series of raids on railway traffic at Libercourt Station, near Douai. In order to perform this without intervention by German aircraft, the aerodromes at Provin, Tourmignies and Phalempin are attacked by pairs of FE2bs of 25 squadron each escorted by an FE8 from 40 squadron. They drop phosphorus bombs at intervals shrouding the landing ground in smoke occasionally dropping twenty-pound bombs. Besides grounding enemy aircraft, the bombing destroys a hanger at Provin and causes a major fire at Phalempin. Simultaneously, another formation bombs and strafes two troop trains, derailing one and scattering the troops, while the main force – seven B.E.2s of 16 squadron and six FE2bs of 25 squadron, escorted by FE8s – attack the railway station at Libercourt, causing severe damage and starting fires. Major Herbert John Walker (Royal Engineers) dies at the Salonika Front at age 46. He is the son of General J T Walker. His son K S Walker will die on service in February 1946. Captain Leopold Reginald Hargreaves MC (Irish Guards) is killed at age 33. His brother was killed in May 1915 and they are sons of Alice Liddell Hargreaves who was the inspiration for Lewis Carroll’s Alice in Wonderland. Captain Patrick Hallam Murray (Royal Field Artillery) is killed. He is the son of ‘Sir’ Hugh Murray. Skipper Charles Allen Campbell (HM Trawler “Silanier Royal Naval Reserve) dies at sea at age 38. He is the son of the Reverend Thomas Campbell. Lieutenant Geoffrey Weldon (Royal Field Artillery) dies of wounds at age 30. He is the son of the Reverend Edward Weldon. Lieutenant Frank Graham Evans (Welsh Fusiliers) dies on service at home at age 23. He is the son of the Reverend Graham Evans. Second Lieutenant Philip Edward Webb (Royal Engineers) is killed in action at age 30. He is the son of ‘Sir’ Aston Webb. Second Lieutenant Charles Dean Prangley (Lincolnshire Regiment) is killed at age 19. He is the son of the Reverend Charles Wilton Prangley Rector of Bexwell. Second Lieutenant William Broughton Bothamley (Middlesex Regiment) is killed at age 31. His brother will be killed in April 1918. Corporal William Elkin (Grenadier Guards) is killed at age 20. His brother will die on service in April 1919. Private Frederick William Crowder (Lincolnshire Regiment) is killed at age 19. His brother was killed 10 days earlier. Private Herbert Ainger (East Surrey Regiment) is killed. His brother will be killed in May 1917. Private David Sutherland (Scots Guards) is killed at age 21 at Les boeufs, Morval. His brother will be killed in December 1917. Private William Ferguson Gray (Scots Guards) is killed in action at age 22. He is the first of three brothers who will be killed in during an eight-month period during the Great War. Private Robert Fyfe Kilpatrick (Argyll & Sutherland Highlanders) dies of wounds received in action on 15th September at the Battle of the Somme at age 23. He is the son of the Reverend William Kilpatrick. Private Bertie Thomas Adams (Bedfordshire Regiment) is killed in action at age 41. His brother will be killed in four days. Private John Henry Allen Bollard (Canterbury Infantry) is killed. He is the grandson of the late John Bollard MP and he has a brother who will be killed in February of next year. Private George Greenwell (New Zealand Machine Gun Corps) is killed. His brother will be killed next month. Private Herbert Clegg (King’s Own Yorkshire Light Infantry) is killed at age 20. His brother was killed last October. Rifleman Alfred Stanley Lyons (London Regiment) is killed at age 27. His brother will be killed in July 1917. Private William James Dartnall (Gloucestershire Regiment) is killed at age 19. His brother will be accidentally killed in December 1918. Private Ernest Charles Skinner (Gloucestershire Regiment) is killed at age 31. His brother will be killed in October 1918. Private Everard Barker (Leicestershire Regiment) is killed in action. He is one of three brothers who will lose their lives in the Great War. Private Victor Albert Naden (Lincolnshire Regiment) is killed at age 18. His brother was killed last June. Private Thomas Simpson (Gloucestershire Regiment) is killed in action becoming the first of four brothers who will lose their lives in the Great War. Private David Key (Leicestershire Regiment) is killed at age 38. He is the middle of three brothers who will lose their lives in the Great War. Private Arthur John Smith (East Surrey Regiment) is killed at age 21. His brother will be killed next November.